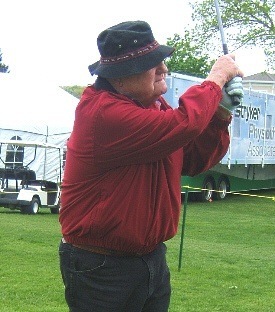 A closest to the pin contest is held at the Corning Classic, each year on the 15th hole, during Tuesday’s practice round. 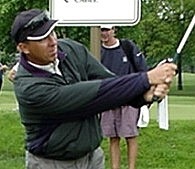 It is open to the tour caddies only. 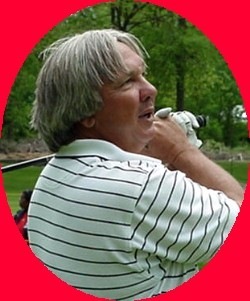 For $5.00 a shot (maximum 2) each looper gets to show his skills. The closest ball to the hole wins a spot in the following year’s Dresser-Rand Pro-Am held on Monday of the tournament week. All proceeds help defer the cost of the spot. This event was dedicated to the memory of “Talkin’ Jim” Wilkinson who was tragically taken from us by an auto accident Nov. 14, 1998. 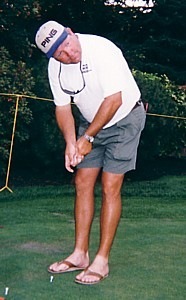 Talkin’ Jim at the caddie putting contest. 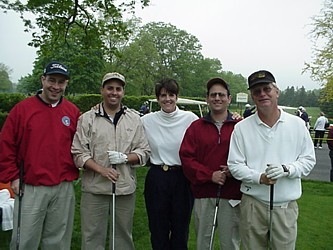 The winning team in 1998. 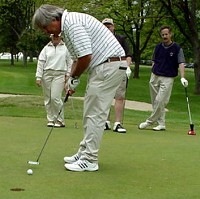 I earned my spot by winning the closest to the pin contest the previous year. It was 4 and 1/2 inches from an ace. Bill Burch, and Dave Dedlinski. 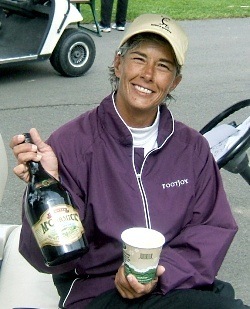 We won the Pro-Am at 16 under. 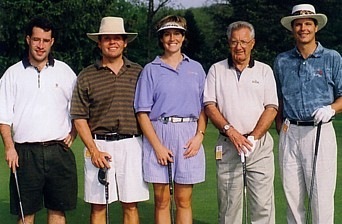 Billy Prentice (far right) played with Caroline Blaylock in 2000. 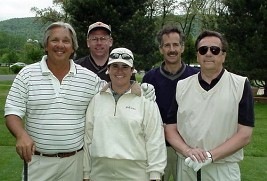 Bobby Inman (left) played with Jan Goossens, Pro Carrie Wood, Ron Johnson and Frank LaViola Sr. in 2003. 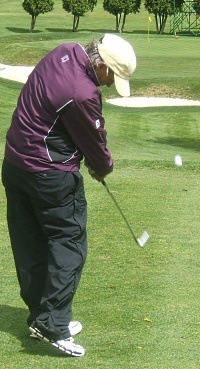 They finished 14 under in 4th place. 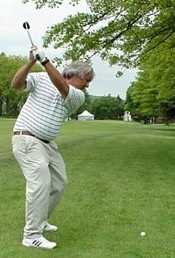 My second go-around in 2005. 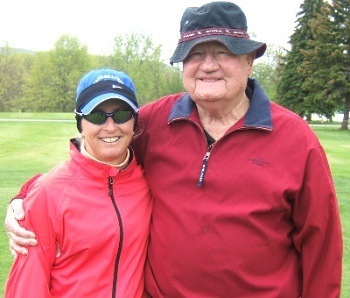 Our gracious professional was Joellyn Erdman-Crooks. Only finished second this time. 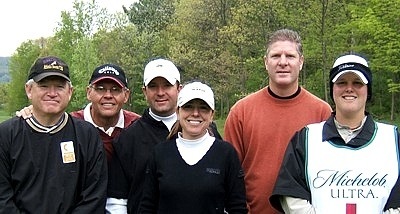 Jeremy Young (far right) played in 2007 with Charlotta Sorenstam and finished second in a play-off. 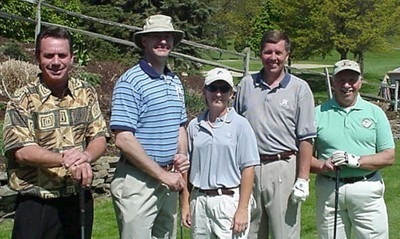 Jeff Steffler (2nd from the left) looped for Jeremy just to get into the picture. 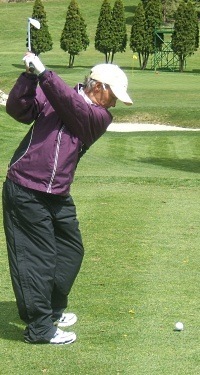 Sam Hinshaw played on a very frigid Monday in 2008. Don’t worry. Somehow she stayed warm. 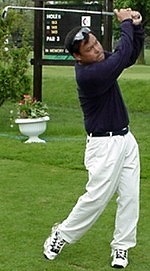 Gary “Hound Dog” Lukash was the lucky participant in the 2001 Monday Pro-Am. 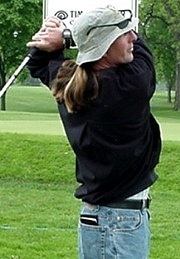 Playing with professional Kellee Booth and three no-talent locals, they managed to post a 9 under par round of 63. 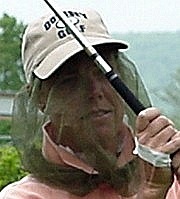 Heather Drew gave up her winning spot in 2006 to Talkin’ Jim’s dad.